EL YOLO OnE is in the process to expand the game camp. To do this, we had to erect approximately 8 km of fencing, 2.4 m high. This is a very expensive and time consuming process. The EL YOLO OnE staff decided to make life easier. We made a template for the main posts as well as one for the droppers. These templates are a piece of plastic pipe, cut in half in the length and we drilled holes in the pipe, spaced to accommodate the fence wire spacing. All the wooden posts and droppers were then drilled, in the work shop, with the same wire spacing. We planted all the posts, pulled two fence wires through posts and tied the droppers in position, with bind wire, onto these two fence wires. We then pulled the fence wires through the other holes and tighten it in about 500 m stretches. Each dropper was tied in two places only. This way we saved the labour to tie approximately 6500 tie wires per kilometre or 52000 tie wires on the fence. Six workers could erect approximately 200 m with 14 wires per hour, digging of the post holes and tying of the droppers, excluded. Klaarstroom meaning "clear stream" was established in 1874, about the time this farm was cut to its present size. Farmers were transporting their wool from the Karoo to the small harbour in Mossel Bay. Water is a scarce commodity in the Karoo and the farmers washed their wool at Klaarstroom. The wool washing facilities established by a Canadian, P.J. Allport, has long since disappeared. Meiringspoort was the first road to link the Central Karoo and the Coast. It was constructed during 1856 to 1858. Flooding of this road was normal. In 1998, the complete road was washed away and a new road was constructed at a cost of approximately R70m. All the drifts across the river have very unique names like Ontploffingsdrif (Explosion drift), Spookdrif (Ghost drift), Pereboomdrif (Pear tree drift) and many more. A visit to Meiringspoort is a must to all visitors to this area. Meiringspoort (30km): The poort is a piece of heaven and a must to all visitors. Klaarstroom (23km): This little town is part of our heritage. The post office, butchery, shop, bottlestore owner and local engineering shop is owned by the same person. Cango caves (100km): This world heritage site and caves are absolutely unique in its kind. Swartberg pass (60km) towards Prince Albert or (100km) towards Oudtshoorn side: This is a dirt road pass and takes one back into history. It is specially awesome when there is snow on the mountains. The Hell: This is a very small village with a unique history. The road to the Hell runs from the Swartberg pass. Willowmore (66km): This tiny Karoo village will take you back in time. Two breading pairs of the Black Eagle (Witkruis arend) are breading on EL YOLO OnE. We spotted two juveniles lately and managed to capture one on a close up photo. Their wingspan is normally about 1860 mm up to 2220 mm. The female lays 1 to 3 eggs and both parents sits on the nest for 84 to 99 days. The juveniles will be dependent on the parents for about 6 months and then the parents chase them away. The juvenile birds must move to a different location. They feed on Dassies, birds and reptiles. Scientific name is the Aquila verreauxii. On Monday 02 August 2010, at about 22 h 00 the riverine rabbit was spotted on EL YOLO OnE. We also saw the hole where it sleeps and can point it out, to our visitors. We hope to get a good photo soon. EL YOLO OnE is a privately owned three star guest farm with self catering accommodation, situated on the border of the Western Cape and the Eastern Cape. 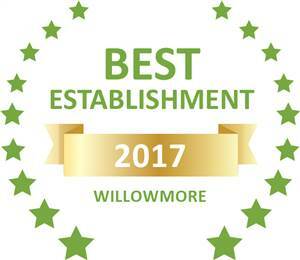 Based on reviews of establishments, El Yolo One has been voted Best Establishment in Willowmore for 2017. EL YOLO ONE © Infinity Web Solutions © . All rights reserved.